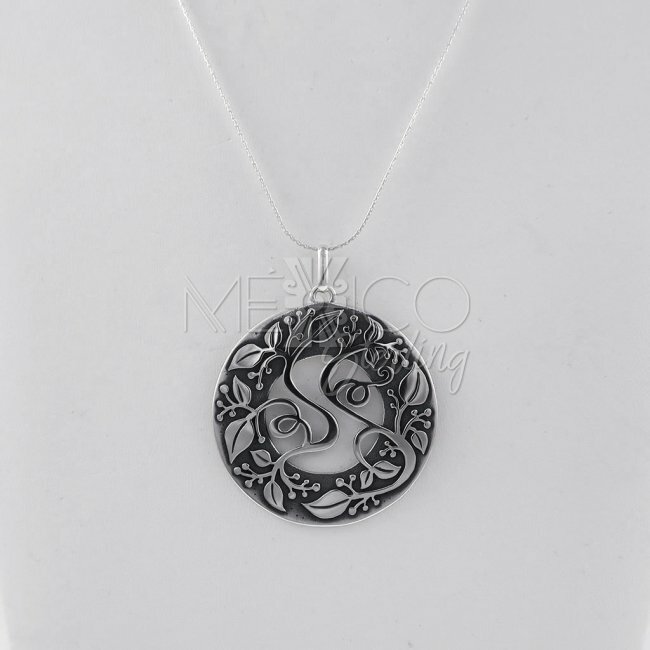 Designer Taxco Silver Festive Vines Pendant [PND3292] - $98.00 : Mexico Sterling Silver Jewelry, Proundly from Mexico to the world. 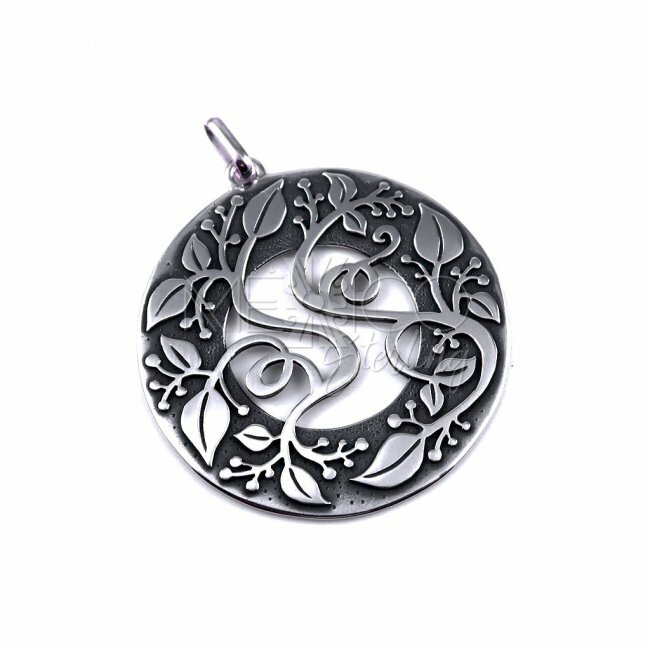 Dimensions: Diameter: 1 3/4" L: 2 1/4"
This is a gorgeous designer silver pendant that carries a contemporary composition with lots of charm. 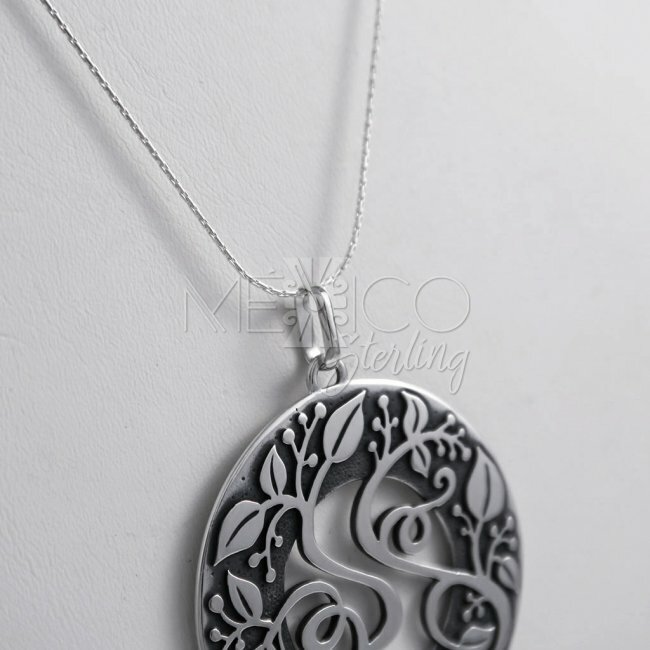 The workmanship and finish on this piece is just flawless. 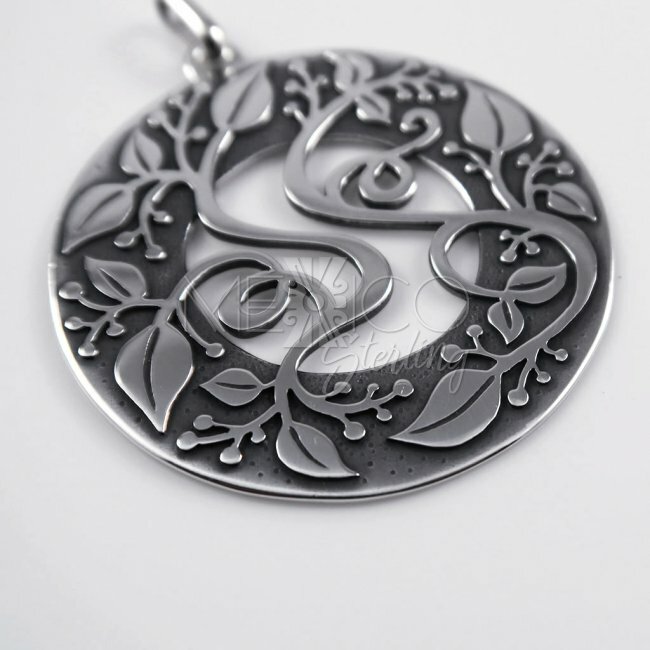 It is completely handmade, chiseled and oxidized, adding a nice contrast between the polished silver and the background showing a nice depth and enhncing even more the vines and leaves that run all over the pendant. 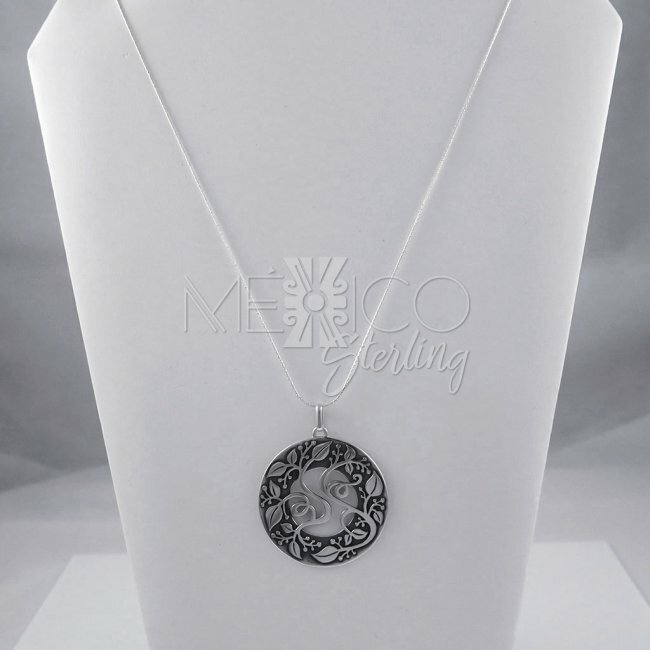 This silver pendant was created by a very nice and talented English jewelry artisan and designer that has found her second home in Taxco. Annabel H. has been living in Taxco for quite some time and has found inspiration on Taxco's artistic vibes that floats everywhere in that picturesque, magical town. 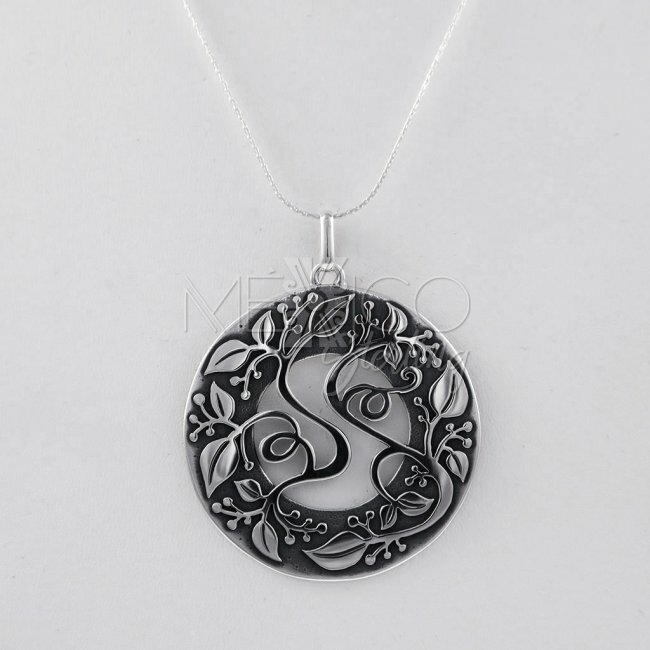 This silver piece is signed with the artist's hallmark. 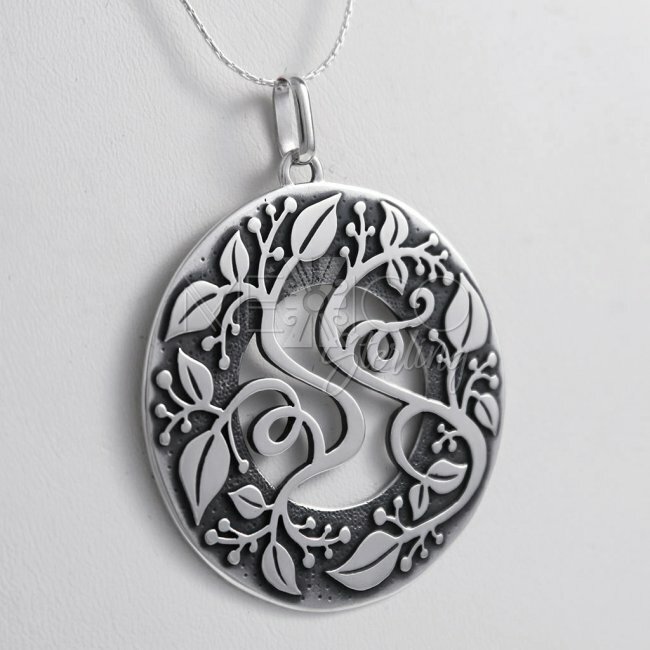 Please take a look at the additional photos for more details on this beautiful silver pendant. We also carry the matching ring, make sure to check it out. Remember that we also have a layaway plan for your convenience. Learn more here.